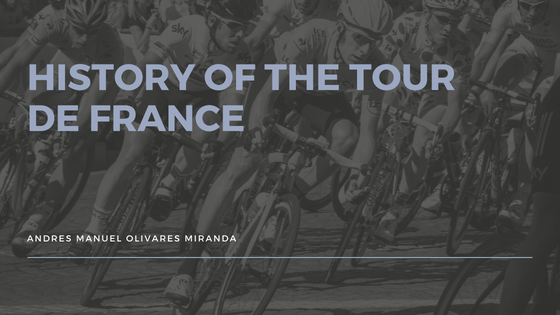 In 2018, the Tour de France will be raced across 21 stages over three weeks of cycling designed to be one of the toughest challenges in sports. The race began in 1903, as the brainchild of the leadership of L’Auto newspaper which was struggling to survive in the crowded Paris market. The first race was completed over six stages, with the first stage completed over 300 miles of a course consisting of around 1,500 miles in a loop of France. One of the problems for the cyclists involved in the first Tour de France was the fact they had no backup for their mechanical problems and had to carry equipment themselves. A common sight in the early days of the Tour de France was cyclists carrying spare tires and tubes wrapped around their body in case of flat tires. By the end of the sixth stage, the longest of the race, Maurice Garin took the stage victory and the first Tour de France title. Throughout the race, the leader wore a green armband to signify their position as leader before the introduction of the Yellow Jersey in 1919, according to The History Channel. As the race has progressed, the Tour de France has introduced a number of different jerseys including the white jersey for the best rider under 25 and the green jersey for the highest point scorer in sprints, according to the BBC. As any casual spectator knows, the sport of professional cycling is a dangerous one which has resulted in four deaths during the Tour de France. Perhaps the most famous death in the history of the Tour is that of British cyclist, Tom Simpson, who died on the slopes of Mont Ventoux on July 13, 1967. Simpson succumbed to the extreme heat and amphetamines he ingested in huge quantities over the course of the race, which resulted in him falling from his bike and remounting and being hit by heart failure. In recent years, Team Sky has become the dominant team in the race with Briton Chris Froome becoming a four-time winner following the first British winner, Sir Bradley Wiggins to the title in 2012. Alongside the individual event for Yellow Jersey, there is also a team event rewarded the team performed best across the entire race.